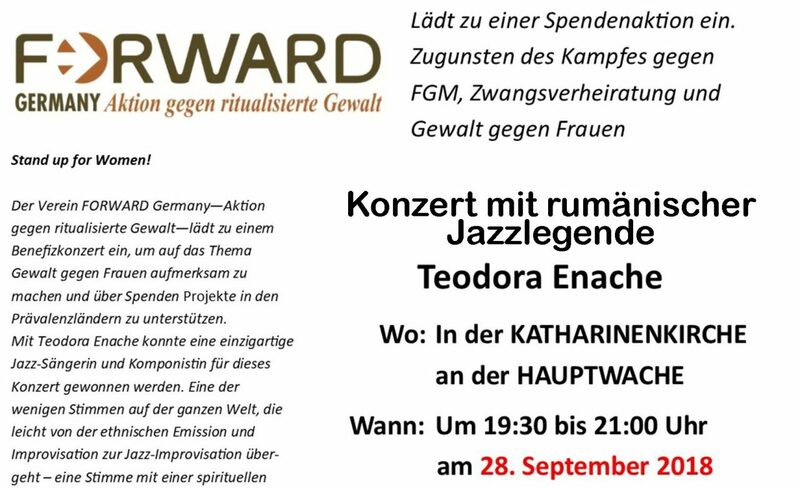 The concert is organized by the Forward Germany Foundation, whose purpose is to support African women through their ‘Stand up for Women’ Project. Teodora will sing alongside Calin Grigoriu, a very talented guitarist, in love with classical music as well as blues and funk rhythms, as well as Joca Perpignan, an accomplished percussionist and vocalist, born and raised in Rio de Janeiro. The program includes songs whose main theme is the unity between people. Whether it’s her own compositions, interpretations of ethnic songs, or improvisations of classical music, they all have one thing in common: the idea of looking for our common root from which life itself flourishes. In this fusion, Teodora finds the joy with which she turns every show in a ritual of celebrating Life and Unity.